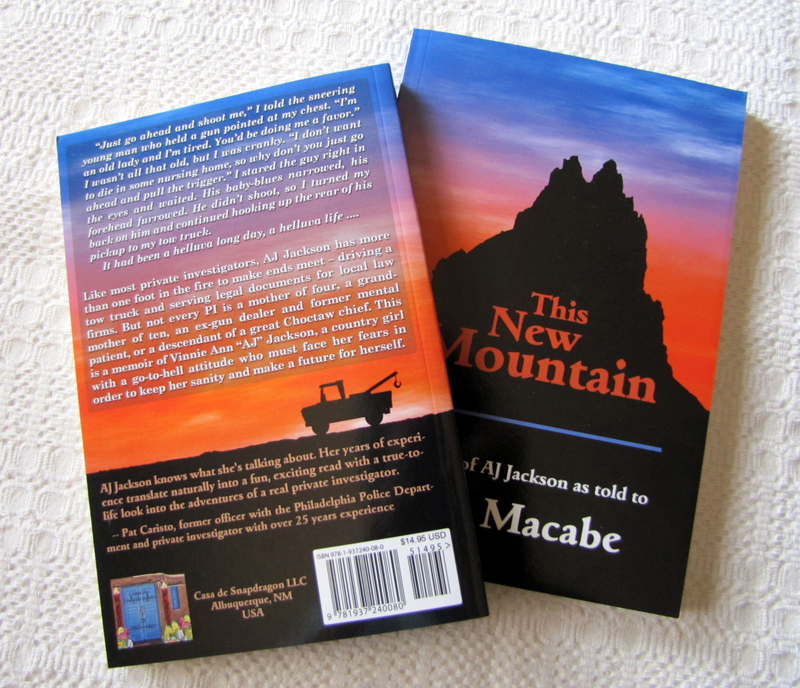 This entry was posted in Fear Less Fridays, News and tagged AJ Jackson, Cate Macabe, private detective private eye, This New Mountain by Cate Macabe. Bookmark the permalink. Rebecca, Thank you for dropping by and leaving a comment. I’ll put your name in the hat for the book giveaway. I wish you luck. Being born and raised in New Mexico I was familiar with a lot of places mentioned in the book. If you have ever been in or near the Rio Grande, or walked along the banks, you will enjoy This New Mountain. TCW, Thank you! I’m glad you liked the book and that it brought back so many good memories. I’ll enter you in the giveaway. Good luck!